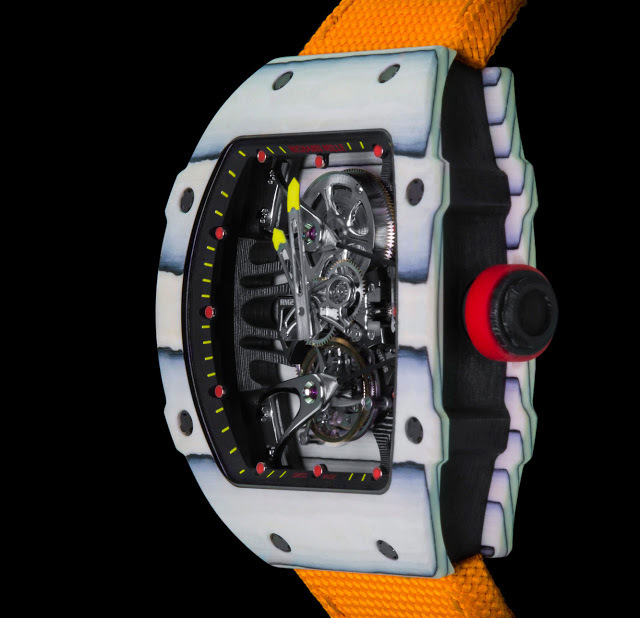 Richard Mille has just debuted his latest ultra-light and ultra-expensive timepiece, the RM 27-02 Rafael Nadal, a tourbillon wristwatch inside a carbon fibre-quartz composite case. 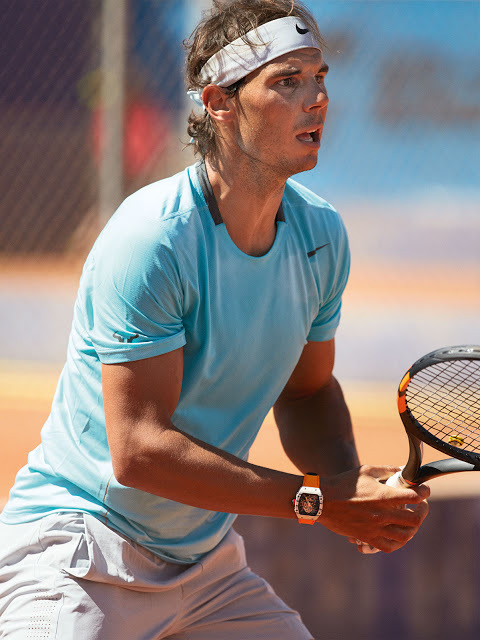 On Rafael Nadal’s wrist during the ongoing French Open at Roland Garros is the Richard Mille RM 27-02, an ultra-light wristwatch that’s the newest in a line of timepieces made for the tennis champion, succeeding the RM 27-01. 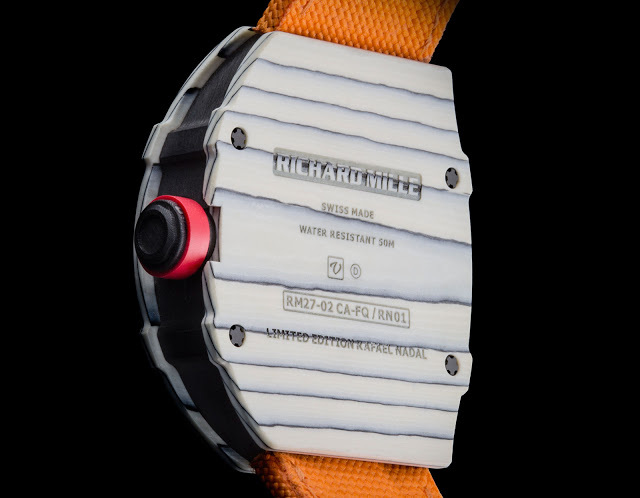 In typical Richard Mille style, the RM 27-02 has a skeleton movement, but for the first time built on an unusual one-piece base plate and case band, while the case is made of an exotic carbon-quartz composite combining NTPT carbon and TPT Quartz. 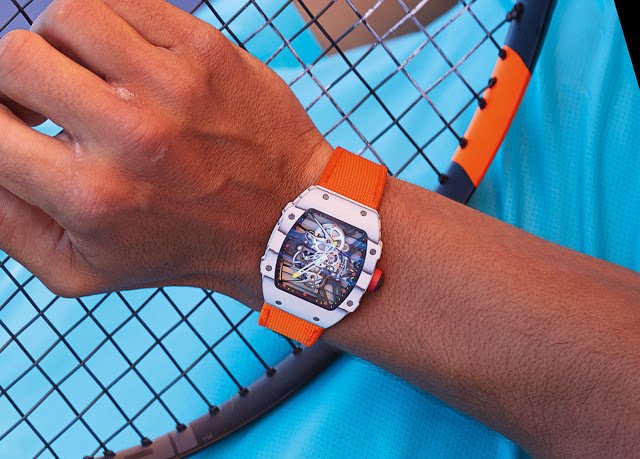 The case is made from two composites combined, giving it a striped look that has been recently fashionable. 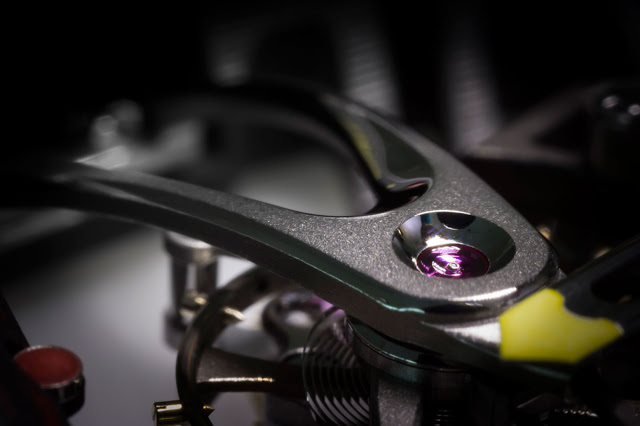 TPT Quartz (TPT stands for “Thin Ply Technology”) is a material developed by North Thin Ply Technology (NTPT), a Swiss composite specialist that makes components for race cars and airplanes. 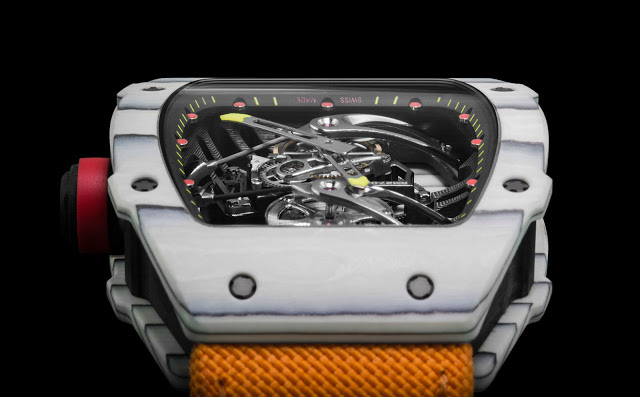 Essentially strands of quartz fibres intermingled with silica threads set in a white resin, the white TPT quartz is layered repeatedly at 45 degree angles with NTPT carbon (which form the grey stripes in the case), a form of carbon composite with a distinctive woodgrain appearance. 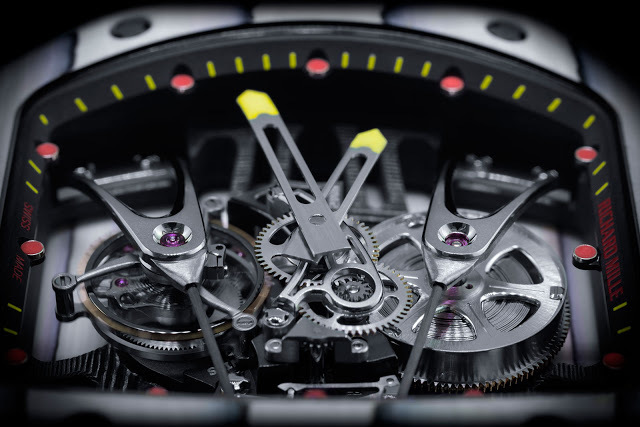 The layered NTPT carbon and NTPT quartz is set in resin then baked in an autoclave, a high pressure oven that uses steam to use its contents. Finally it’s machined into shape. The resulting composite is light and strong, but more importantly conspicuous and different. 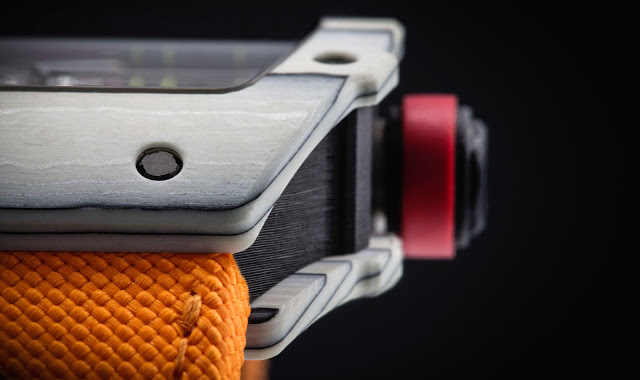 The other notable feature is the base plate, which is actually one piece with the case band. 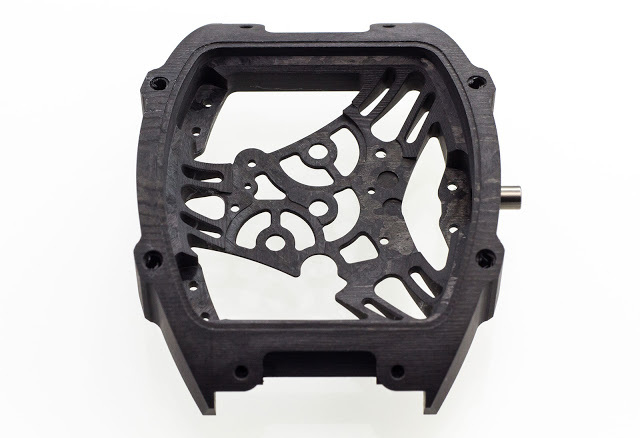 Made of NTPT carbon, the base plate is manufactured in a manner similar to the case. 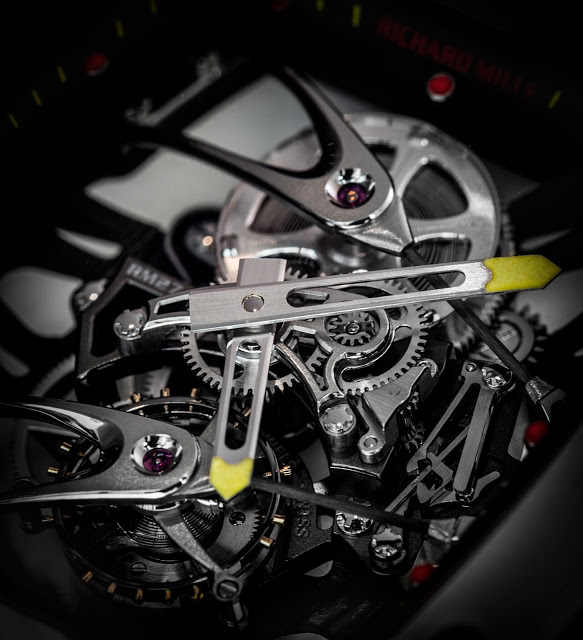 It’s skeletonised, with the movements parts like the titanium bridges mounted on top. 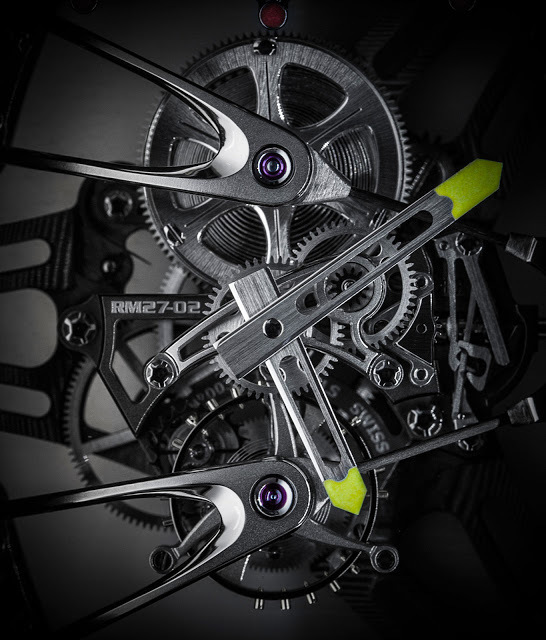 The RM 27-02 measures 39.7mm in diameter and 47.77mm long. 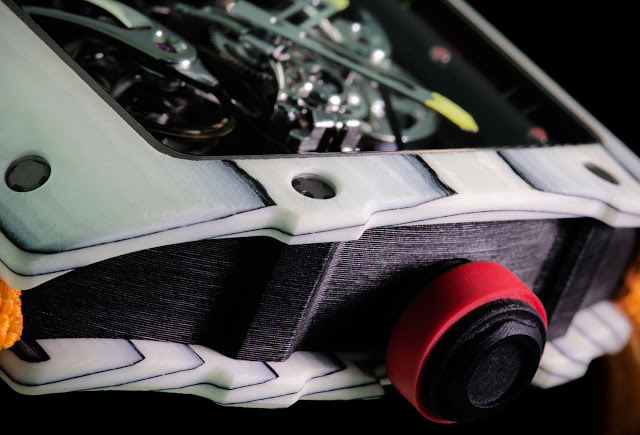 The movement is hand-wound with a 70 hour power reserve. And the price is US$775,000 and SFr734,500 before taxes, or S$1,076,500 including Singapore tax.